Monaco Yacht Show was on this week. In the build up to the event I have been extremely busy creating images for press and the exhibition. 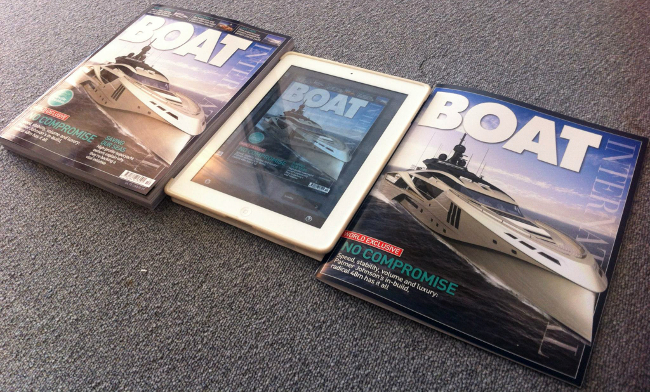 I am happy to say that a image made it as the cover image for Boat International for the October issue. There was also a six page spread in the magazine. You can see the article on the publication page. The show also marked the unveiling of three of the new yachts in the SuperSport series which receive a lot of attention. I also took the opportunity to head up to the top of Monaco and get some HDRI Panorama shots. Although for the first attempt of the night shot I headed up without any battery. I have learnt my lesson to always check my equipment before I head off.